A dentist is one of the most sought for service provider in the market today. 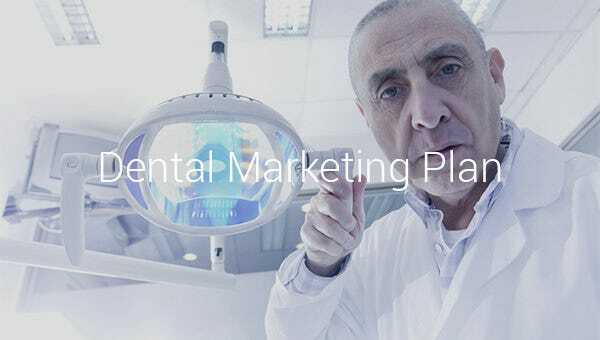 Even then, before people can start looking for you, you need to make sure you market yourself and the only way to do that is to have a suitable dental marketing plan. 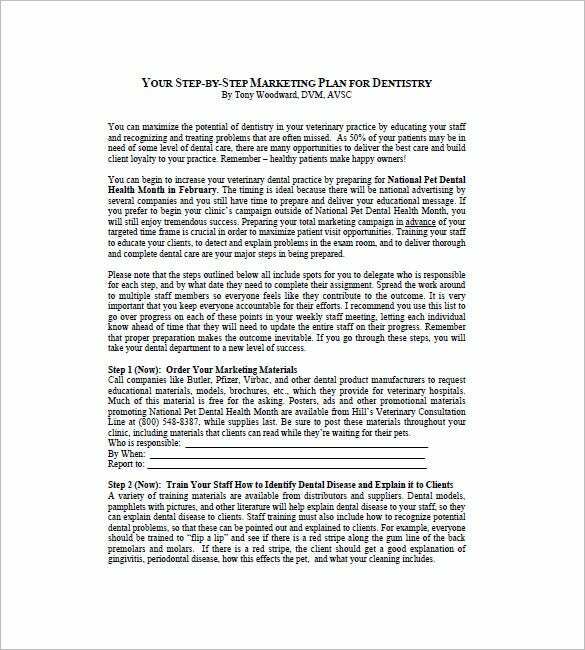 Such a marketing plan is a perfect simple marketing plan that will tell the patients marker about what you do, why you are the best and how you are like to benefit them. 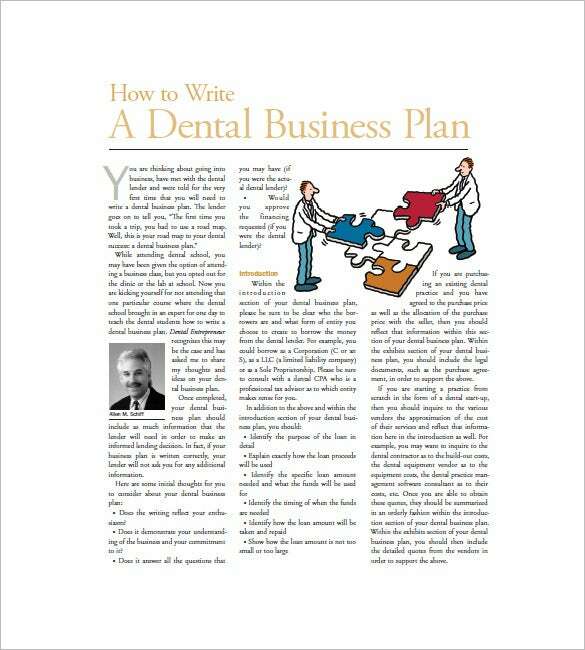 adcpa.org | ADCPA’s How to Write Dental Marketing Plan Template is a perfect beautiful example of writing a dental business marketing plan by joining the pieces like a puzzle presented in the format of a report with pictures for support. 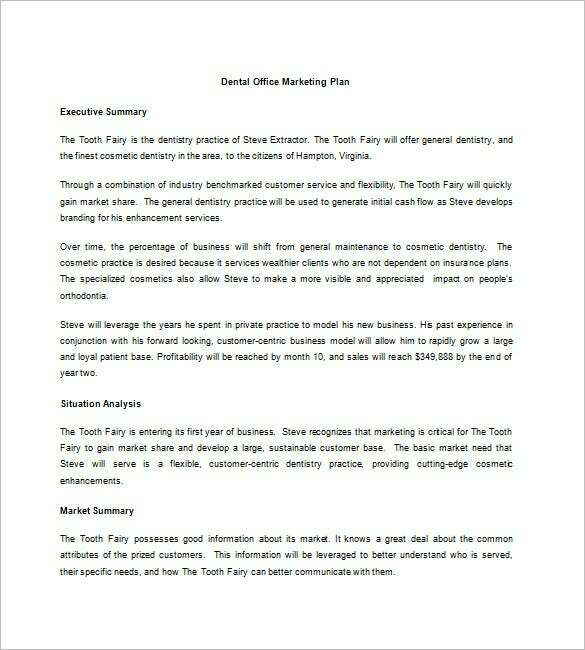 Reference for Business’ Sample Dental Marketing Plan Template Free Download presents a personal account of a dental business marketing plan by an aspiring dental school student in a comprehensive executive summary. 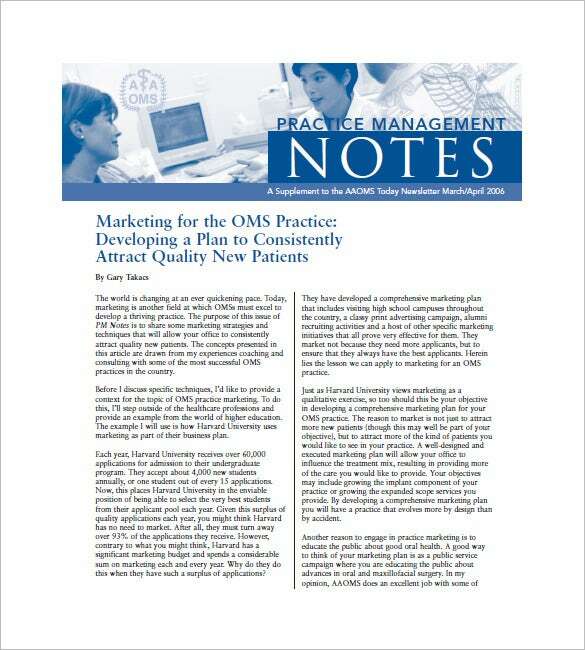 aaoms.org | AAOMS’ Practice Management Notes, talks about Marketing for the OMS Practice and how to develop a plan to consistently attract quality new patients as presented in the Best Dental Marketing Plan for Root Canals Free in the format of a Newsletter. 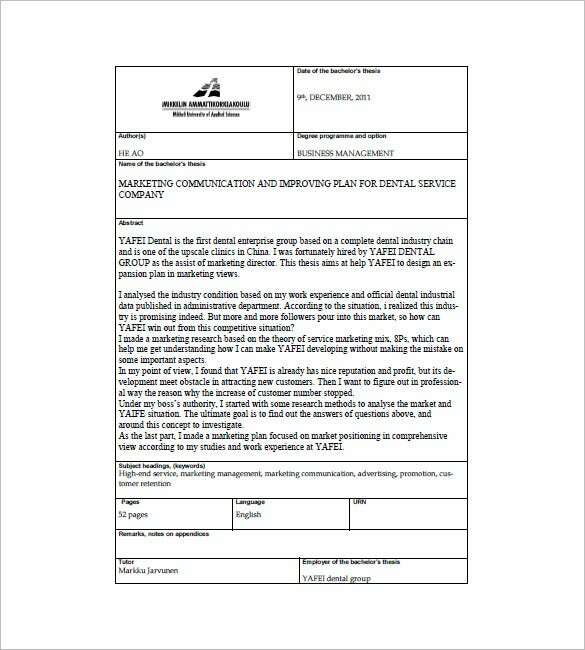 Free Dental Marketing Plan Template sample comprises of Dental Office Marketing Plan of Tooth Fairy, the finest cosmetic dentistry in the Hampton area of Virginia. 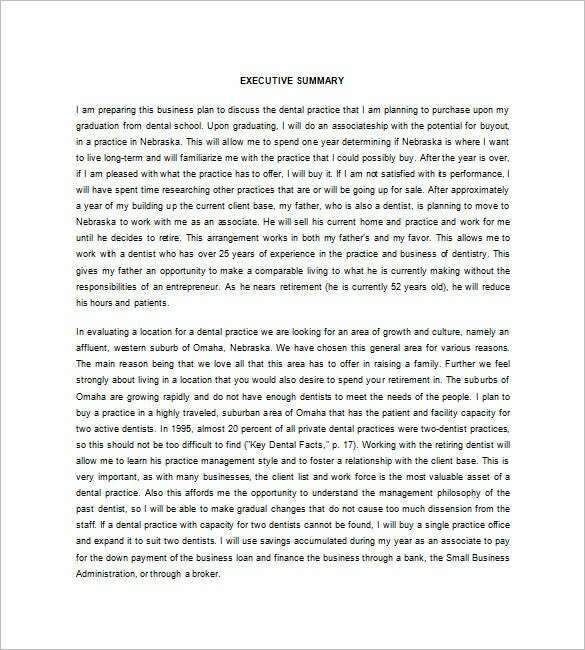 It is divided into sub-headings like Executive Summary, Situation Analysis and Market Summary. 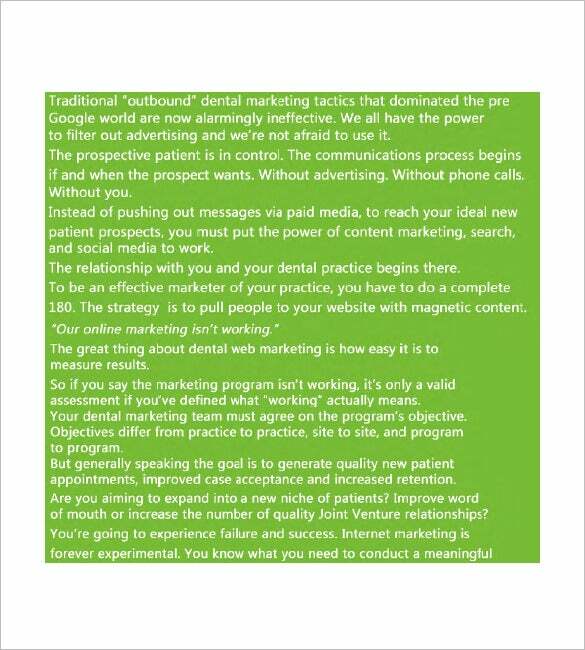 theseus.fi | Check out this Best Dental Marketing Plan Free Download of Theseus presented neatly in a tabular format presenting the abstract to the thesis : ‘Marketing Communication and Improving Plan for Dental Service Company’. 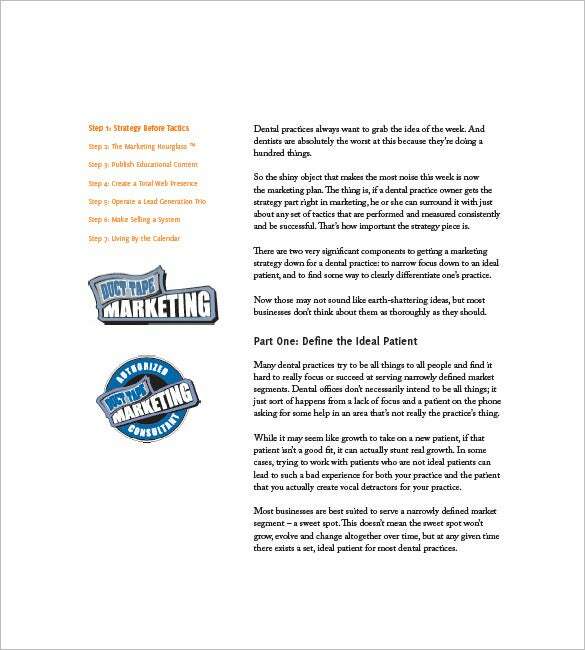 With high quality templates in the best format download available, you cannot miss the best one to use for writing your marketing plan. Download the best sample word or excel template and use that for marketing your business. If you have any DMCA issues on this post, please contact us!